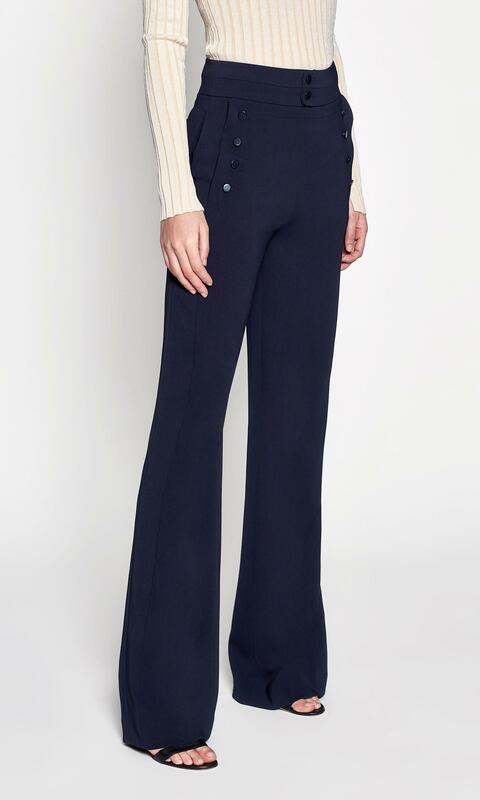 These high-waist, wide-leg trousers are nautical inspired (see those buttons at the hip? And ready for pairing with button-downs and vintage tees alike. Model measurements: height: 5'10" bust: 34" waist: 25". Inseam: 33" front rise: 13 1/2" back rise: 16 1/4". 98% polyester, 2% spandex.